Earlier this month, a team of ambitious and enthusiastic Kent students attended the Enactus National competition in London to showcase the projects they have developed over the past year. The annual competition provides a great opportunity for Enactus teams from Universities all across the UK to come together to present the projects they have initiated, inspire each other and, most importantly, celebrate their success. The two day event in London was a lively affair brimming with talented individuals, all of whom share a common goal; to develop sustainable projects using their entrepreneurial knowledge to benefit people in need. The teams were evaluated by a number of business leaders who judged the presentations based on the use of business application within the projects and how successful they have been in improving the lives of the disadvantaged. Enactus Kent gave a fantastic performance and won the ‘Team Leader of the Year’ award and the ‘Sustainable Entrepreneurship’ award in presenting their ‘My Streets’ project, which seeks to empower homeless individuals in Canterbury by increasing their social inclusion, self-esteem and employability. Over the past year, the team have worked closely with homeless people in Canterbury to set up a ‘walking tour guide’ social enterprise providing a unique insight into the history of the local area. The project is focused on giving the individuals involved an opportunity to develop their understanding of business concepts and to also improve their social skills; however the project also aims to raise awareness of the challenges the homeless community face. A number of other presentations were also memorably innovative. Enactus Durham established ‘Grassroots’ and devised a resourceful solution to tackle the problem of landslides in Uganda by importing and planting Vetiver grass to stabilise the affected soil. Enactus Southampton created a sanitation project called ‘SanEco’ to combat issues of waste disposal and a lack of female sanitary care in Kenya. Enactus Sheffield also presented superbly, explaining how they formed ‘Hope Cosmetics’ to give victims of domestic and sexual abuse the skills and knowledge to set up their own enterprise of producing and selling Shea Butter, they won the overall competition and will now have the honour of representing the UK at the World Cup later this year in Beijing where they will certainly be genuine contenders. 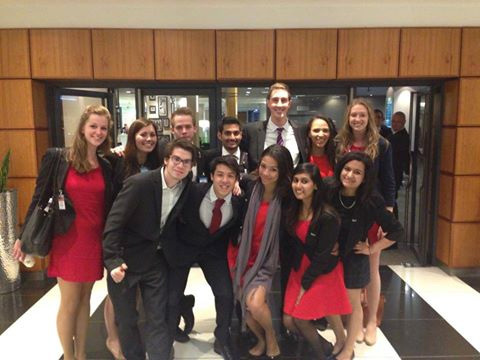 “This year I knew Nationals would mark the end of a truly amazing journey for me and Enactus Kent as a whole. The shear thought of this already made the experience an emotional one. The first night saw a personal achievement that helped symbolise how surreal the whole occasion felt. When Mike announced my name, as Team Leader of the year it felt so unreal, as I could still remember our first ever meeting two years ago so well, time definitely flies in Enactus life! I have so much respect for all the team leaders and for him to single me out was an incredibly nice touch, something I will remember for a very long time. The moment our project ‘My Streets’ was announced as the winner of the Sustainable Entrepreneurship award I felt incredibly proud. It made me realise that Enactus Kent has made it; we have built a platform where fantastic ideas can come to fruition and members can gain invaluable personal development. This is what I set out to do as leader and I was pleased that as a team we have been able to establish this. As a whole, the euphoria of this year’s National competition was greater than ever. The team enjoyed every moment of the few days leading up to the big gig and I cannot praise the other presentation team members enough for their great efforts. It was fantastic to see the Enactus Kent team’s hard work recognised at this prestigious event and it is particularly commendable how successful they were within key business award categories. The Enactus Kent team hopes to continue working closely with Kent Business School in the future to support the progression of both local and international projects. Congratulations again to all of the Enactus Kent team and best of luck for next year!